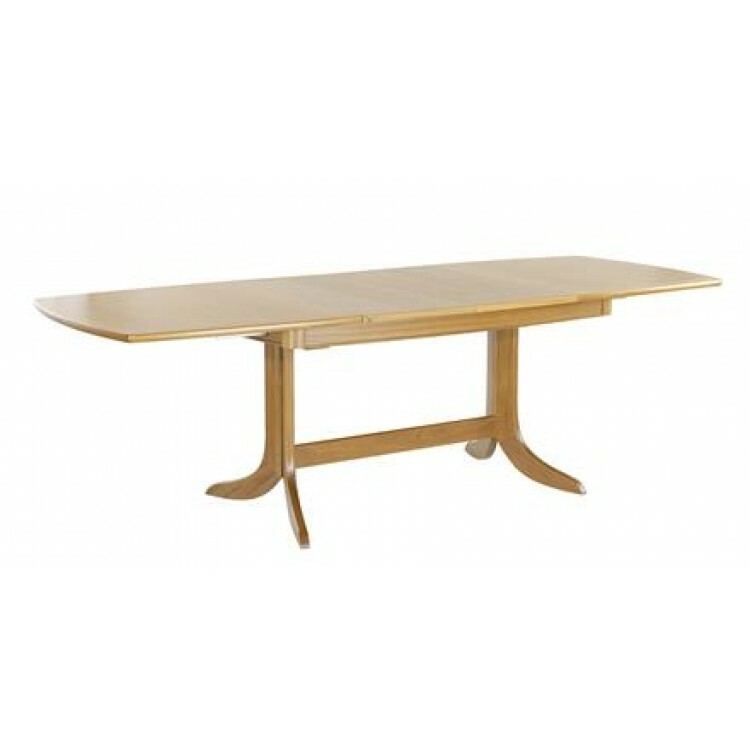 This Nathan Dining Table comes with two extension leaves which store inside the table when not used. 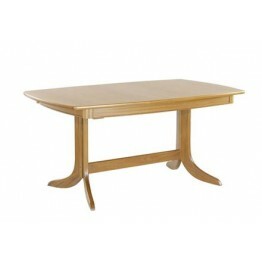 You can therefore have the table in use with three different sizes.... closed, one leaf inserted or two leaves inserted. The top has the banded edging effect. Below is a picture of the table extended also. Looking for a Nathan Dining Suite? 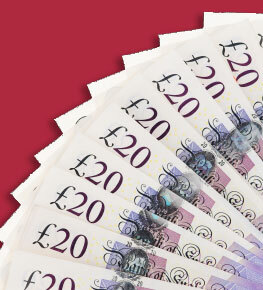 Please call us to ask about our Free Dining Chair offer! Tel 01283 740004 - Ends 31st May 2019.